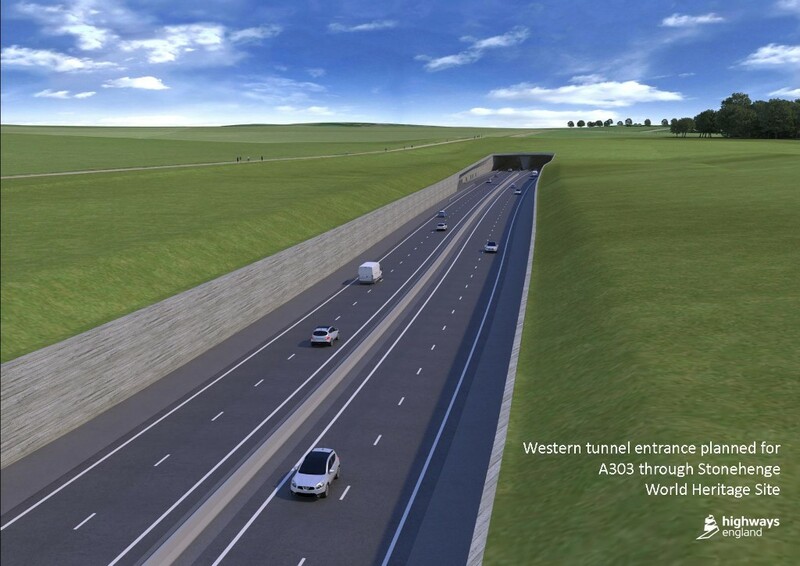 Highways England is undertaking a Supplementary Consultation on three minor changes to the shocking A303 road widening scheme by Stonehenge that was consulted on last Spring. removal of a proposed link between Byways 11 and 12, south of the A303. There is no mention of the recent joint UNESCO World Heritage Centre/ICOMOS report and recommendations to avoid damage to the WHS. Earlier majority outright objections to the scheme are ignored. a massive flyover and slip roads leading to vast interchanges on the WHS boundaries. Irreparable damage that would be inflicted upon this remarkable place threatens the very integrity of the World Heritage Site. If we allow the damaging A303 Stonehenge scheme to go ahead, nowhere is safe from the bulldozer. The scale of the impacts that the scheme overall would cause to the WHS and its setting is such that specialist advisors from UNESCO’s World Heritage Centre and the Internaltional Council on Monuments and Sites (ICOMOS) last March recommended solutions that would not damage the World Heritage Site such as a bypass or longer tunnel. In June 2018 the World Heritage Committee endorsed that advice and urged the UK Government to avoid adverse impact on the outstanding universal value of the WHS. This strong advice is being ignored and puts the status of the World Heritage Site at risk. Tell Highways England what you think today! Highways England have invited you to comment on their form that contains three open questions found here by midnight on 14 August. Or you can edit the text to our sample email to Highways England that we have prepared below or email directly A303Stonehenge@highwaysengland.co.uk. This petition is now closed. Thank you to everyone who voiced their support to protect Stonehenge World Heritage Site.